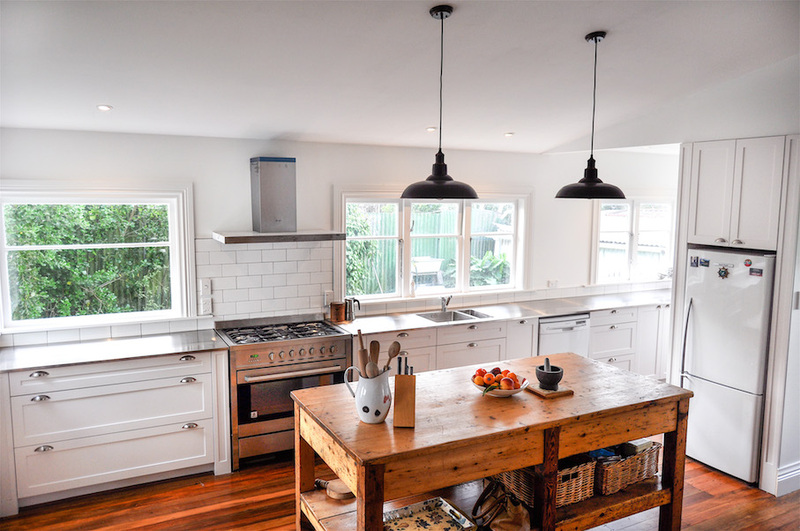 We were approached to design and re-build the kitchen for this Featherston two-storey Heritage house. 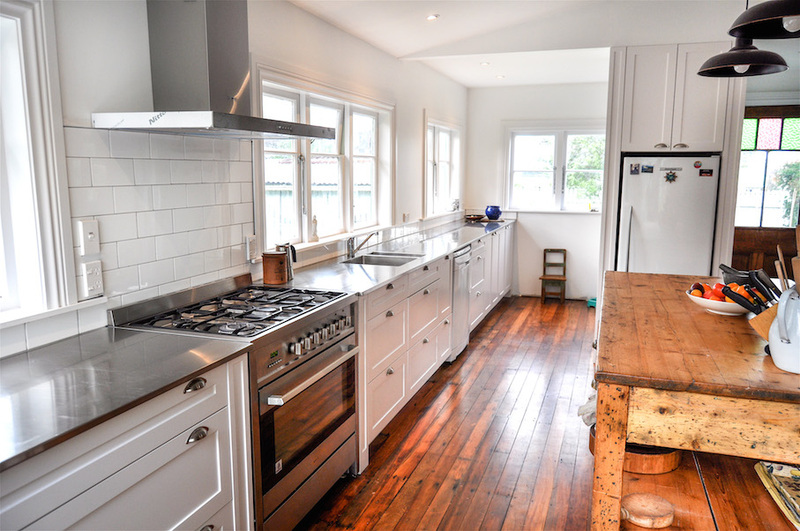 Built in the late 19th Century, the kitchen had been partially renovated over the years, but was well overdue a full re-design. The kitchen and dining area is definitely a focal point for this home, and has large double doors that open to the courtyard in summer, as well as a roaring fire in winter. We really wanted to make this a space people wanted to spend time in, as well as utilise the natural light that flowed in. 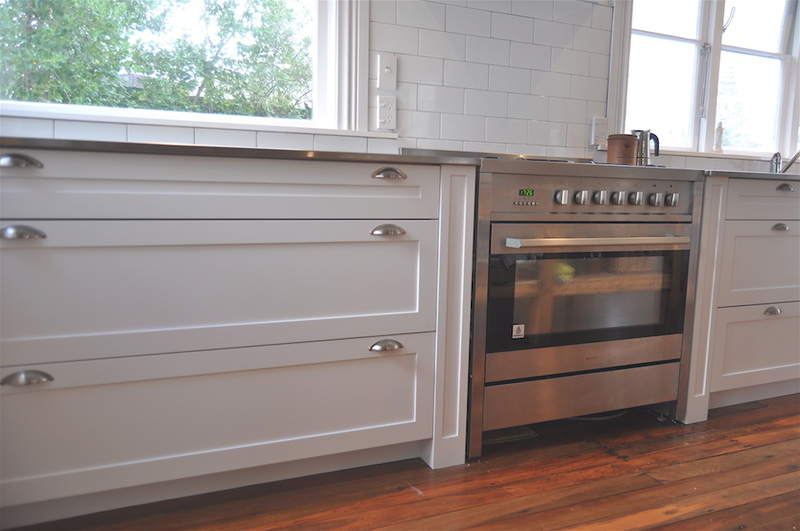 What resulted is a kitchen with nods to the era of the house, with country styled panelled drawer fronts, whilst bringing in the contemporary feel that was important for our clients, with the stainless steel bench tops and hanging pendants. 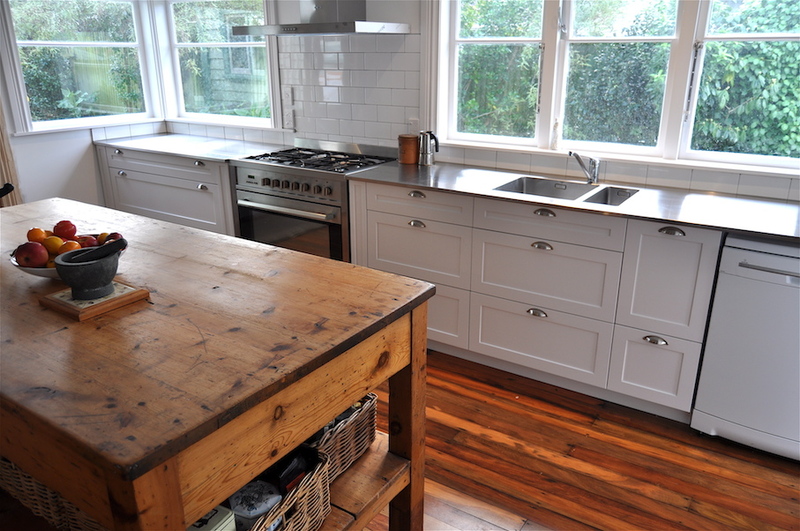 The polished wooden floors and solid wooden island bench top contrast with the white drawer fronts. With soft closing drawers on all the long lines of drawers, white tiled splashbacks and a new pantry area – our clients love their new space!